5K, 10K, Walk/Run, Paddleboarding, Flash Dance Mob, Vendors, Kids’ Zone, Celebrities, Oh My! Choose to join one or all of these exciting activities. Thank you to everyone who came to the 14th Annual FLIPANY Fun Run (5k/10k Run/Walk and Paddle Board) and help us achieve our mission of empowering children, youth and adults through physical activity & nutrition programs. 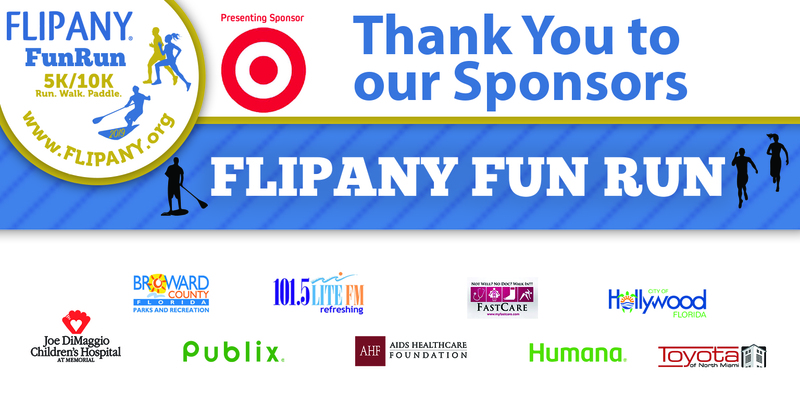 The FLIPANY Fun Run challenges participants of all ages to a 5K/lOK run or paddle boarding as well as providing access to local health and wellness vendors, free kid’s activities, and a silent auction /raffle. This is a great opportunity for you, your company, or community group to show support for FLIPANY and our mission to empower youth and adults through nutrition and physical activity programs while influencing policy changes for healthier communities. Register NOW for the FLIPANY FunRun!